Our aim is to provide a cost effective legal service for a wide range of clients from various backgrounds. Much of our work centres on property transactions, an area where we have considerable experience. For more details on all of the services we provide just click on the services link at the top of this page. If you have any questions regarding any of these services, please do not hesitate to contact us using our contact form or by phone on (09) 276 2996 or mobile on (027) 485 0694. 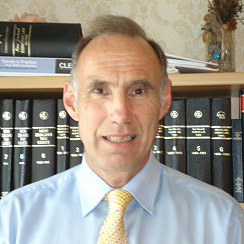 Colin Alexander Wilson, born 1947, educated at University of Auckland gaining BA/LLB in 1980 and LLM(Hons) in 1992, was employed as research officer for NZ Engineering Union between 1980-84. He was admitted to bar as barrister and solicitor of High Court of New Zealand 1982 gaining legal experience working as a common lawyer in South Auckland between 1985-87 and as law tutor and lecturer in commercial law at the Manukau Institute of Technology between 1988-1999. He commenced practice as a solicitor on a part time basis in 1993 and full time under the name WILSON: Lawyer since 2000 as general practitioner specialising in property and business transactions.